The EWS control unit is a major part of the BMW security system ensuring the engine will not start unless the correct ‘chipped’ key is used. This EWS system can also be troublesome as these vehicles start to age often resulting in costly repairs. If a customer plans on tracking their vehicle or prepping the engine for an engine conversion into something else then EWS removal ensures a smooth transition. 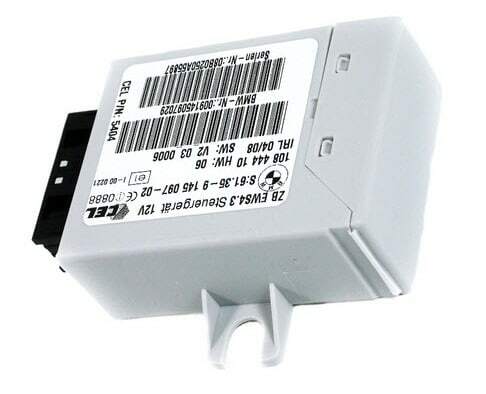 This can also be useful when installing second hand DME control units. We physically remove the EWS control unit from the vehicle, rewire the starter exciter and reprogram the DME control unit to eliminate the EWS function totally. Nothing requires aligning etc. This service totally removes the factory immobiliser function. The cost of this EWS removal service is £299.00 inc VAT.